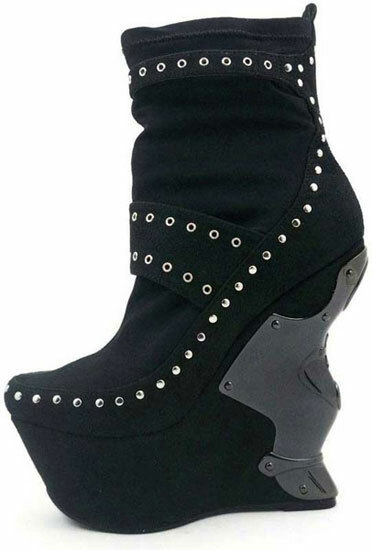 These very unique boots have stretchable black lycra and suede. The platform wedge has an iron cross plate on the back and rivet and grommet details. The sides have mini belt straps and flame buckles.